I'm a Texas based Technology Leader, and Executive creating incredible teams, managing and building awesome businesses, and pushing the needle forward. Let's start scrolling and learn more about me. I'm a husband, father of two girls, and a business man (in that order). I started off my career back in 1996, working for Mark Cuban at AudioNet / Broadcast.com. I began as a SQL Server Database Administrator, eventually evolved into a full-time developer, later began leading a small dev team, eventually a full dev department, leading and setting the technology direction of the entire company, and, ultimately, managing entire businesses. Promoted from VP of Operations, I was engaged to take on a larger role throughout the company, development process, and taking a hands-on role with Accounting, Customer Service, Development, and IT. Originally hired to review and audit all business operations, development process, and technology stack. From there, I put together an attack plan to improve all aspects, and push things forward. Hired to bring together a development team, and process, that was at odds with the company. With a wide breadth of experiences, technologies, and directions, the development team had to be pulled together and bonds built. Additionally, responsible for growing the team, and helping to build and establish an office in San Francisco. Hired at the inception of a new department, formed at the merger of various anti-fraud positions throughout the company. Doing this, allowed me to centralize business processes and begin development of anti-fraud tools, technologies, and approaches. Additionally, this included the management of 12 full-time Fraud Specialists that handled the review, analysis, and action of any suspected fraud accounts. Hired during a rough time of the company, I was allowed to finalize and discontinue contracts of outside vendors evaluate technology needs, development a sound roadmap going forward, and hiring an internal team to handle all development within the company. This technology my team and I developed at Match.com that was used internally to help analyze and review Match.com profile images against known fraudulent profile images. This algorithm was trainable as fraudulent users would choose new images to use. This was additional technology my team and I developed at Match.com that analyzed email messages sent through the Match.com email system, reviewing all text for various words, phrases and sentences that were known to be regularly used by fradulent users. This technology was developed by my team and I at ShopSavvy that allowed us to use various pertinent pieces of information about a product, store it, and search through other outside websites and product databases for the same product. Attended full-time for the first two years after high school, attending on a scholarship from the Decatur Chamber of Commerce, and later went part-time with night courses. Ultimately, I was 30 hours short of finishing. Despite being well accomplished, I hope to go back and finish one day. 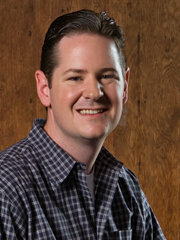 Jason is a true visionary when it comes to the development of world-class, scalable new media products and solutions. He brings a level of tenacity and professionalism to the technical direction of an organization and he was truly an invaluable asset when it came to growing the organization from a true start-up to top honors with Forrester in the social collaboration space. I would not hesitate to work with Jason on any project initiative as he is one of those rare individuals that you meet in your business career that no matter what he does you know that he will be successful. Jason has a unique ability to both naturally command respect from his reports, and alleviate the stresses of working in a high pressure field, inspiring his team to thrive and do "the right thing". Jason is a true leader and has the unique ability to rally the troops around him and accomplish the goal at hand. I learned so much from Jason. I looked up to Jason and he was always their to provide assistance. Jason truly understands how valuable his employees are to the success of the company. Jason is a smart person whose passion for software is only exceeded by his passion for the people he surrounds himself with. His sense of the technology market, understanding of the details surrounding software, and his ability to lead a team make him a unique and highly valuable individual in the software industry. It was truly a pleasure getting to know him and work with him for nearly 5 years building a business. Got a question for me? Got a project that needs a little help? Have the opportunity of a life time? Drop me a line below!